Great angle, wonderful sky and lovely balloons! 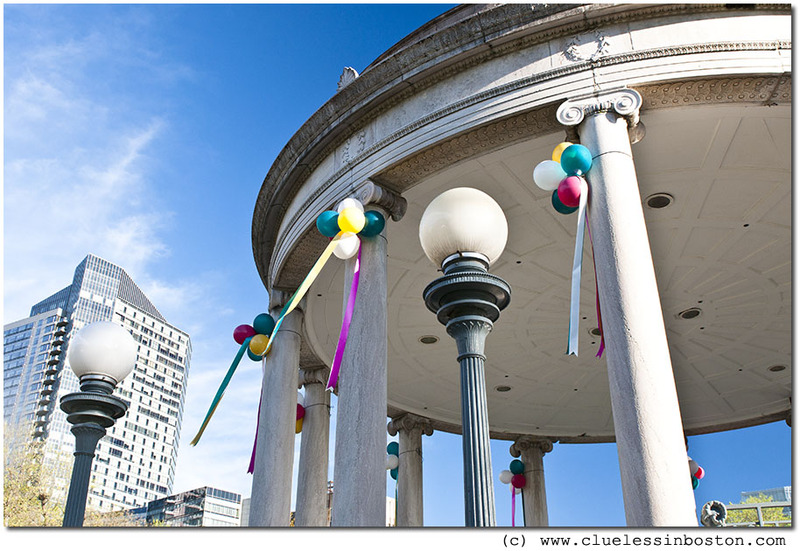 don't you love the way the balloons soften the hard architectural materials? nice capture.